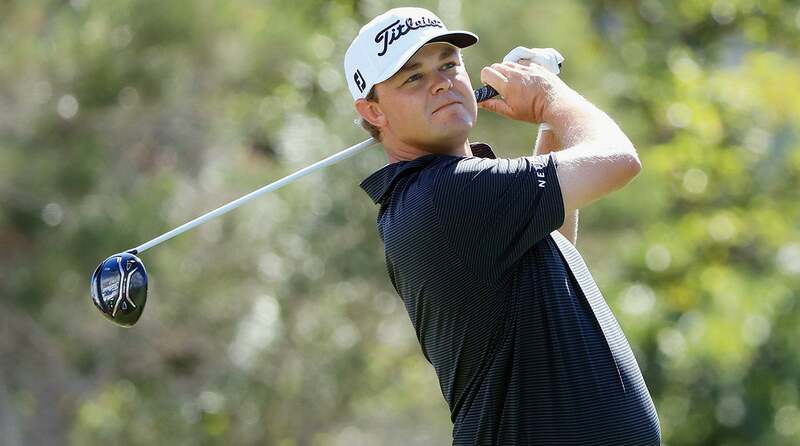 HONOLULU (AP) — Patton Kizzire outlasted James Hahn in six extra holes to win the Sony Open to become the first multiple winner on the PGA Tour this season. James Hahn shot 62 in the final round Sunday and got into a playoff with Kizzire at 17-under 263. They matched two pars and two birdies on the par-5 18th. They matched pars when they went to the par-3 17th. It ended on the par 3 along the Pacific Ocean when Hahn putted from right of the green to about 8 feet, and his par putt caught the lip. "It wasn't pretty," Kizzire said. "I'll take it any way I can get it." Hahn, who won both his PGA Tour events in playoffs at Riviera and Quail Hollow, had birdie putts from 10 feet and 6 feet on the par-5 18th hole at Waialae Country Club that would have won it. He made a 6-foot birdie another time to extend the playoff. Kizzire had to get up-and-down from a bunker for par on the first extra hole, making a 7-footer to stay alive. It was the longest playoff on the PGA Tour since Bryce Molder won the Frys.com Open in 2012 in eight extra holes. It nearly was the most exciting tournament of the year (it's only the second week) that no one saw. Union workers for video and audio production at Golf Channel events walked out Sunday over a labor dispute, and the network had to scramble to provide limited coverage. They had enough cameras to at least cover the final three holes and the entire playoff, with commentary coming from headquarters in Florida.